Southampton sack manager Mark Hughes after just winning one of their 14 matches so far this season. 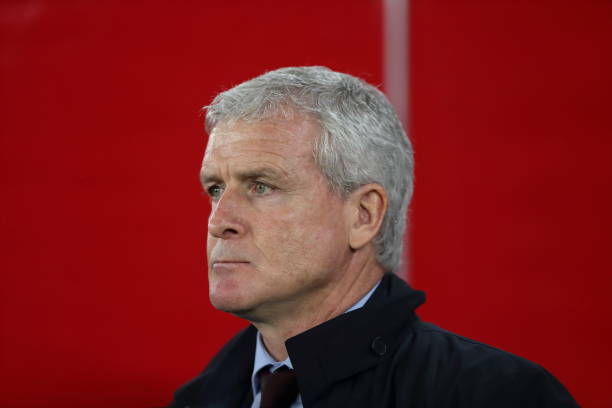 "Southampton Football Club can today confirm it has parted company with first team manager Mark Hughes. "Assistant first team manager Mark Bowen and assistant first team coach Eddie Niedzwiecki have also left the club. "We would like to express our thanks to Mark Andy his staff for all their efforts during their time at St Mary’s. "The search to find a new manager is already under way. First team assistant coach Kelvin Davis will lead the team for Wednesday’s Premier League game against Tottenham Hotspur at Wembley."